With increasing demand for 'live edge' timber we now stock a range of character grade, live edge English hardwood. 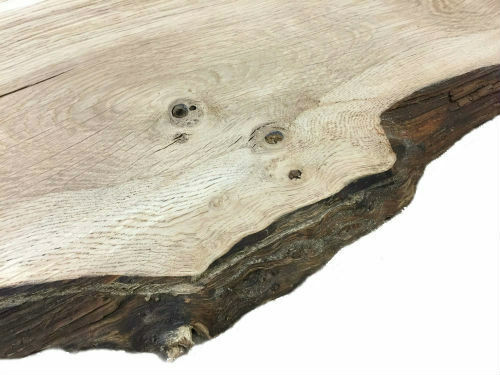 Predominately Oak and Ash, these planks each have their own unique shape and grain pattern making them ideal for rustic furniture such as shelving, coffee tables and benches. 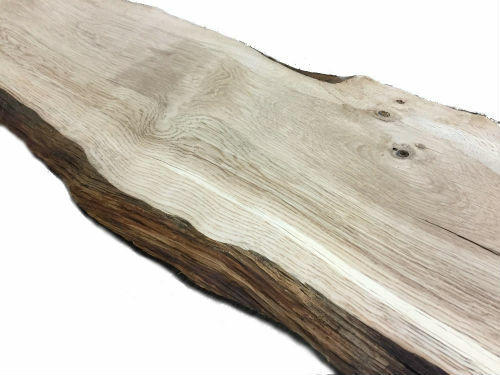 Live edge usually refers to timber with one or both edges retaining the shape of the outer 'skin' of the log. They usually still have some bark on and have a dark brown, wavy or uneven edge. Sizes range from 4' to 10' long, 9" up to 20" wide and 1" to 3" thick. Call in o see our current stock as these items must be seen to be appreciated.